In the 400 Meter Dash, just a half second can separate the winner from the last place racer. 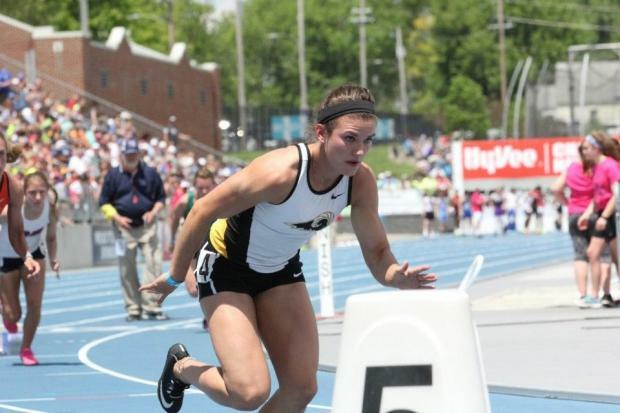 Take a look at how Iowa athletes fair against surrounding states in the event below! In the Boys 400 Meter Dash, Iowa stacks up very well, with similar times to Illinois and just a bit behind Missouri on the leader time. Iowa's leading time would be just 0.01 second behind the 2nd place Missouri finisher. On the girls side, having a powerhouse like Sydney Milani certainly helps boast some quick leaderboards. Milani's time of 52.90 is the only one under the 54 second mark, and significantly faster than the times out of Minnesota, Nebraska, and South Dakota, which lead with times in the 56 to 57 second mark.